This is the ideal app for anyone who wants to learn or revise Neurology - the anatomy, functions, and organic disorders of nerves and the nervous system. 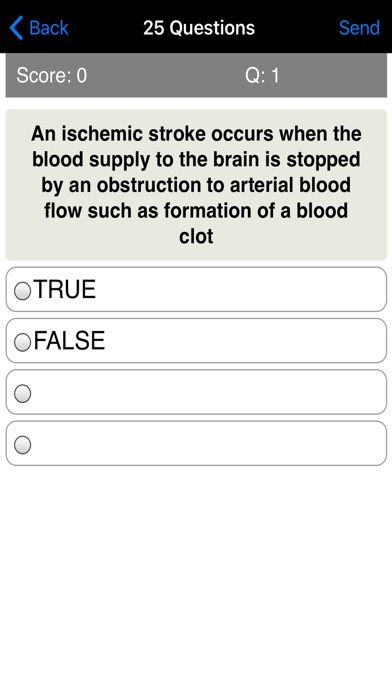 The quiz also measures your knowledge of the foundational medical terms used when referring to Neurology / the nervous system. 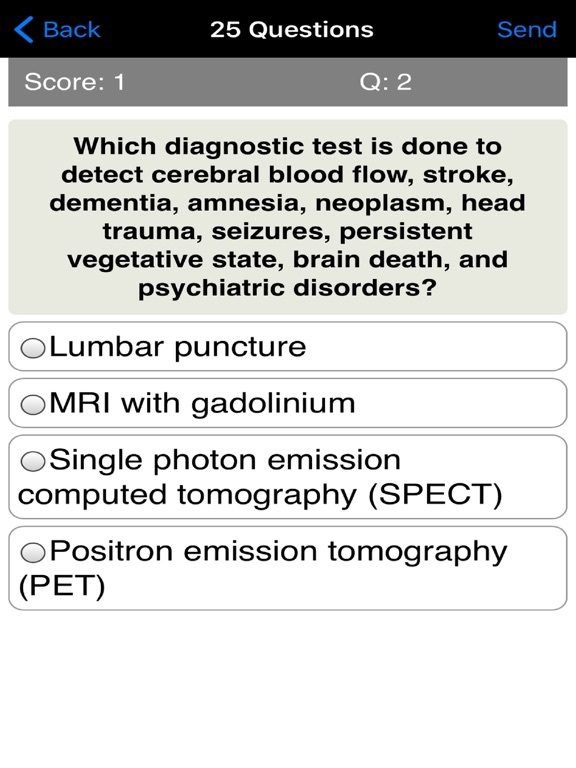 Through this quiz, you will be able to review and measure your knowledge of Neurology. 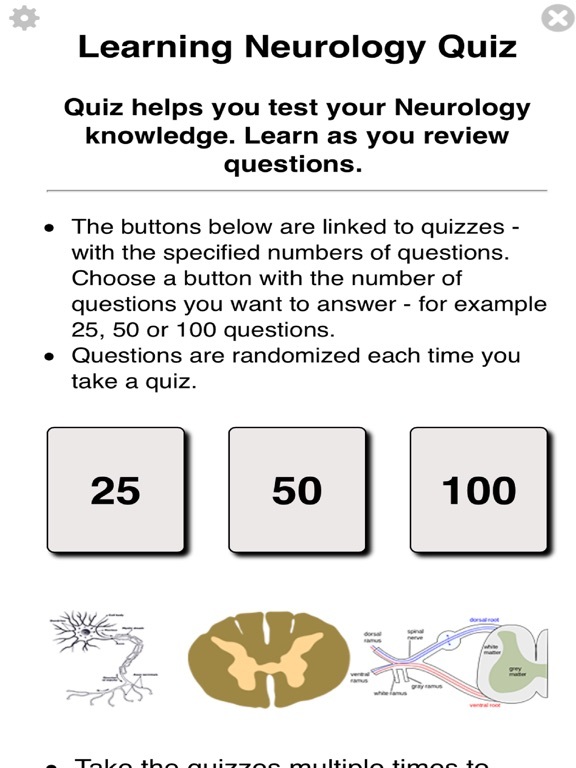 This Neurology Quiz app combines a number of the nervous system terminology and neurological disorders quizzes on the Learning Nurse website. Test and review your knowledge about the terms associated with the primary structures and functions of the nervous system, as well as terminology related to neurological diseases, disorders, and treatments. Test and refresh your knowledge about diseases and disorders of the nervous system, e.g., head injuries, Bell's palsy, brain abscess/tumor, cerebral aneurysm, encephalitis, meningitis, MS, Parkinson's, stroke, seizure, etc. This app will be extremely useful for someone who wants to review what they have learned in class / their own study in preparation for an exam. It focuses on important concepts and terminology that have been known to be tricky and hard to remember or grasp. This is great for anyone studying Neurology in Nursing, Medicine or any related profession. 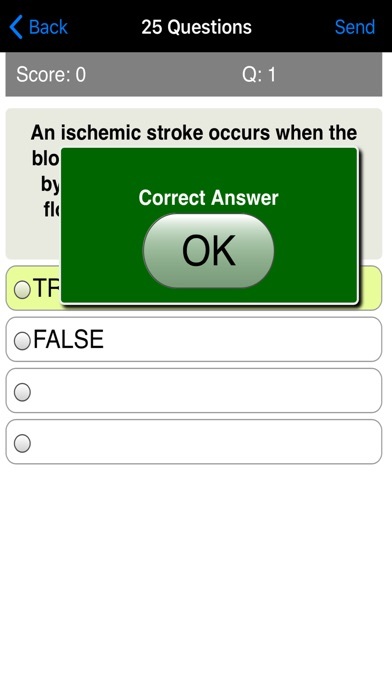 This review quiz app contains over 260 questions - multiple choice and true/false questions that cover the essential areas that you need to know. 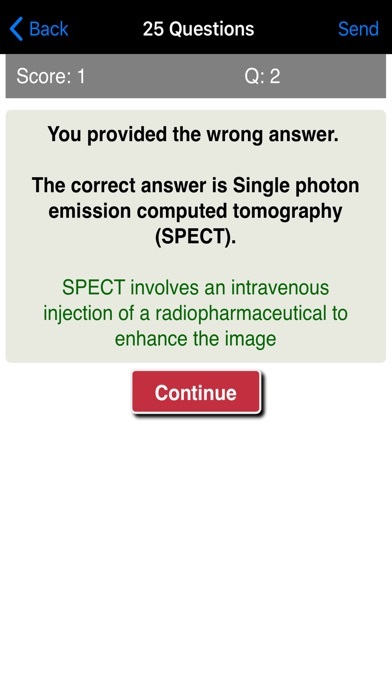 It’s great as a practice or revision app that you can use to test what you have learned. It is also ideal as a refresher that you want to use as you prepare for or just before taking an exam. It is also an excellent reference for people who want to test their advanced knowledge of Neurology. Try this unique Neurology quiz and you’ll be glad you did!